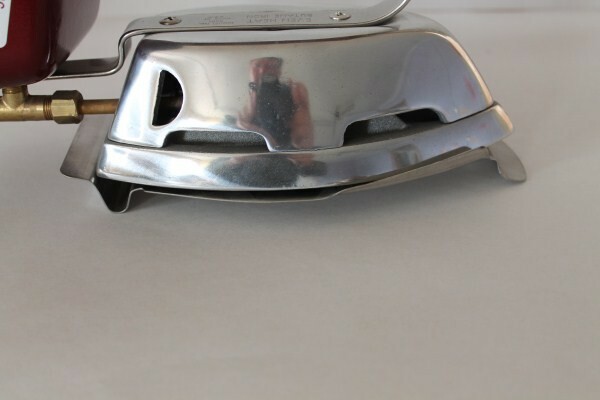 Self-Sufficient, Off Grid Survival, Old Fashioned Butane Clothes Iron. 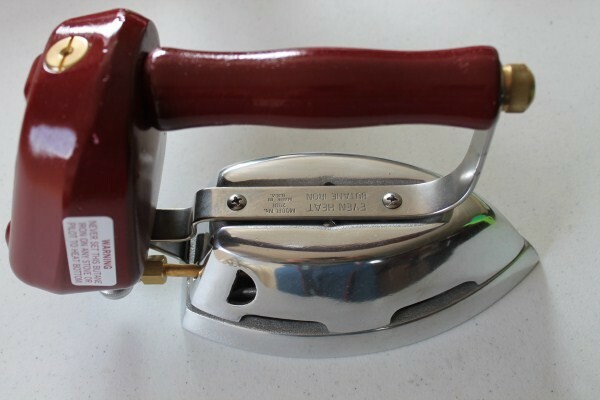 Model 2001 Brand New Butane Clothes Iron. Manufactured by the Amish Even Heat Manufacturing Company U.S.A. for those living a back-to-basic off-grid lifestyle, or for collectors. 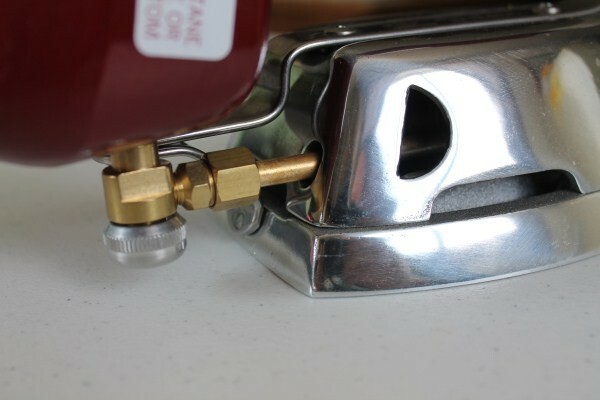 Butane Clothes Iron provides even heat using butane fuel. Butane fuel is the same refill used for cigarette lighters and butane torches. 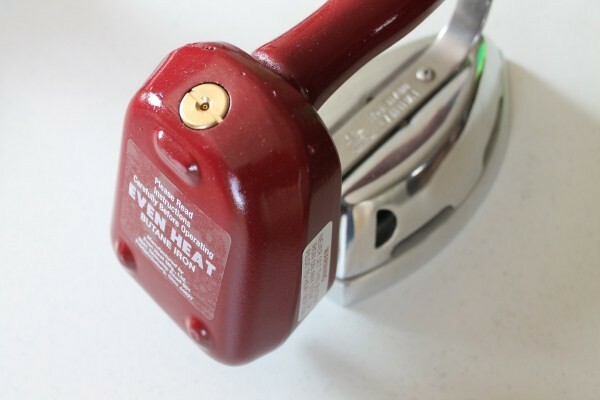 This Iron should be filled outside and lit outside until the operator is comfortable with lighting and adjusting the flame before using indoors. 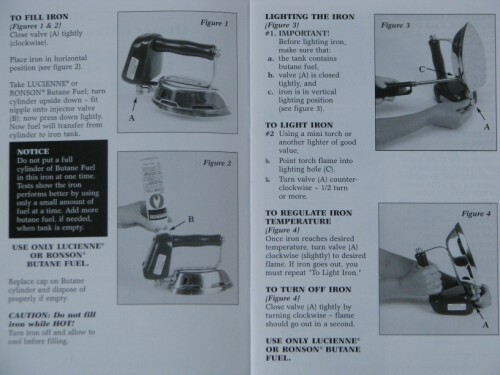 Complete operating instructions will come with the iron, we have posted a picture of the instructions for reference. Warning: This appliance uses a compressed gas to produce an open flame for heating the iron. Extreme caution should be used at all times to prevent a fire hazard and or burns. Some flame out of the sides may occur during lighting, use long matches or long lighter to light, stay clear of the sides to prevent burns. Keep away from flammable substances. Fill only outdoors. Recommend using outdoors until comfortable with the startup and lighting procedures. Use only indoors with adequate ventilation. First of all, I am not Amish. I am just someone who is tired of spending money on modern irons that disappoint. I have finally found my "forever" iron, and wanted to share my thoughts about it. I have spent a fair amount of money on irons over the years, ranging from moderately-priced to expensive. I have always followed the manufacturers' instructions for keeping them rust-free: empty the water after every use, regularly clean the water chamber with vinegar, keep the steam vents clean, etc. All the irons would eventually spew rusty water on my freshly-washed clothes. Then, I tried a dry iron. That solved the spewing problem, but the iron didn't get sufficiently hot. There aren't many dry irons on the market, and the one I bought quit working altogether after 6 months. 1. No holes in the soleplate means no rusty water can ever spew on your clothes. 2. The soleplate size is just right. It's large enough to cover an expanse of fabric, yet small enough to maneuver around buttonholes and into other tight spaces. 3. It might take you a bit of practice, but lighting the iron is quick and easy. 4. Fuel (Ronson butane) is available online, but I found it locally at Ace Hardware. 5. Once the soleplate is hot, you can adjust the flame down. The soleplate will stay hot with a low flame, which means your fuel will last longer. 6. There's no cord for pets to chew on. 7. If the electricity is out and the outfit you want to wear is wrinkled, you can still get it ironed. 8. I was a little concerned that the iron might feel too heavy (4 pounds), as I am a petite 97 pounds. The iron is so well balanced that it doesn't feel heavy at all. 9. This is a well-designed, well-constructed iron. It's made of metal and very few (if any) plastic parts. This is an appliance that was designed to last, rather than for obsolescence. 10. I studied the diagram of the iron's parts. There are so few that there's just not that much that can go wrong. I don't expect to ever need parts, but it's nice to know that they are available, and will probably be available for decades to come. 11. The flame is visible, yet housed in a deep chamber far enough away from you that it's not scary, nor a fire hazard. 12. The handle is comfortable and sufficiently far enough away from the flame that it doesn't get hot. 13. When you are done ironing, you simply turn a nob to extinguish the flame. The iron cools down in about the same amount of time as it takes for an electric one.